Heavy duty rotary operated battery cut-out isolation switch. 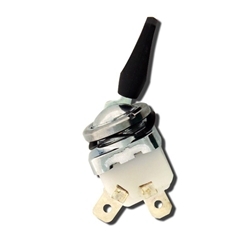 Designed for panel or bullhead mounting. Incorporates removable “Flag Key, in red for added security. Supplied complete with splash cap. Suitable for 12 or 24 Volts. Rated to 500 amps.